Yellowstone River fly fishing is one of the main reasons people come to the state of Montana. It is a world renown tourist destination and is well known for its beauty and the fish that swim within in. There has been a long-standing tradition of fly fishing on the Yellowstone, and we decided to share a few tips with you so that you can make the most out of your next trip! Read for everything you should know about Yellowstone River fly fishing as well as a few suggestions on how you and the whole family can enjoy this Montana treasure. Everyone has heard of the Yellowstone River, and for those of us who live here, it is a fly fishing hub. Here we discuss Yellowstone River fly fishing, as well as what to expect when you head out for a day on the water. 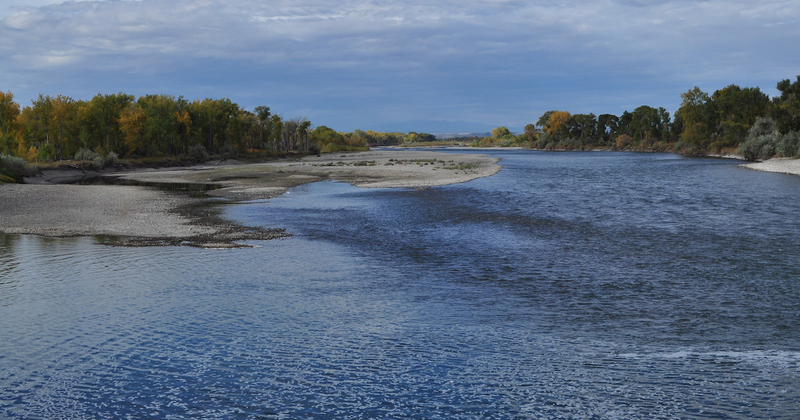 The Yellowstone River is well known for being the longest free-flowing river in the lower 48 states. It is also known for being one of the most productive rivers for trout fly fishing. There are many different trout species in the Yellowstone, including cutthroat, brown, and rainbow trout. Yellowstone River fly fishing is generally best from a boat. Though there are parts you can wade in, and it is popular and effective to fish from the shore, boat fishing has several advantages. The river is generally wide and the upper section flows very quickly. Every year in late May to early July, there are large Salmon Fly and Golden stone hatches that anglers love to take advantage of. The Yellowstone River typically clears up from its spring run-off in late June or early July, which is typically when sporadic caddis fly hatches occur. Not only are there a vast majority of access points across the entirety of the river so that you can make the most out of Yellowstone River fly fishing, but there are also many camping and lodging sites along the river. Below the falls in the Park, the Yellowstone is mainly found in two rugged canyons, the Grand Canyon and the Black Canyon. This part of the river is loaded with large fish and though you can take a solid hike and fish for a short time, most people take a night to camp so they can fish longer. Autumn is unexpectedly an amazing time for Yellowstone River fly fishing because brown trout are fall spawners and often let their guard down during their reproductive system. The Yellowstone is typically the last river in Montana to clear out from winter runoff. 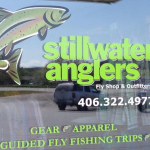 This provides a great opportunity to fish other rivers and streams during the early summer months. April and May explode into the season with caddis hatches that attract many anglers from all over. It is not unheard of to see parts of the river completely covered in insects and some of the biggest fish of the season are caught then. Now that you have a brief overview of everything you should know about the river, as well as a few tips and tricks to making the most out of your trip, you’re ready to go! Book a trip with any of our experienced guides for a trip of a lifetime or give us a call if you have any questions about the Yellowstone, or even fly fishing in general. We also recommend double-checking our weekly River Reports so that you know what to expect before you head out for a day in the great outdoors. Yellowstone River fly fishing can be temperamental and some days most of the river is unfishable. Lucky for you there are hundreds of miles of river, so as long as you’re up to a bit of a drive, you can find a spot to fish.